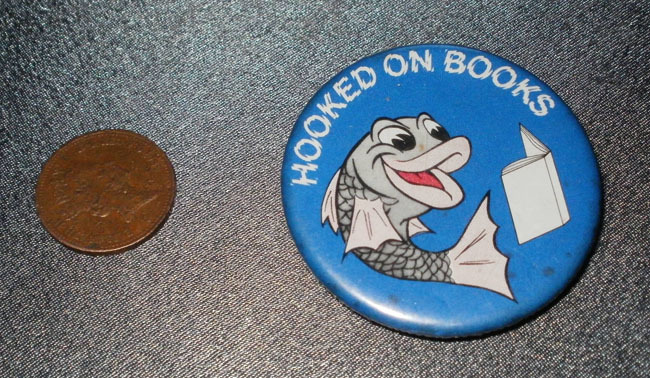 Vintage pin badge from 1980s promoting reading/libraries. Measures 1,1/2" in size. 1p shown for size reference only.